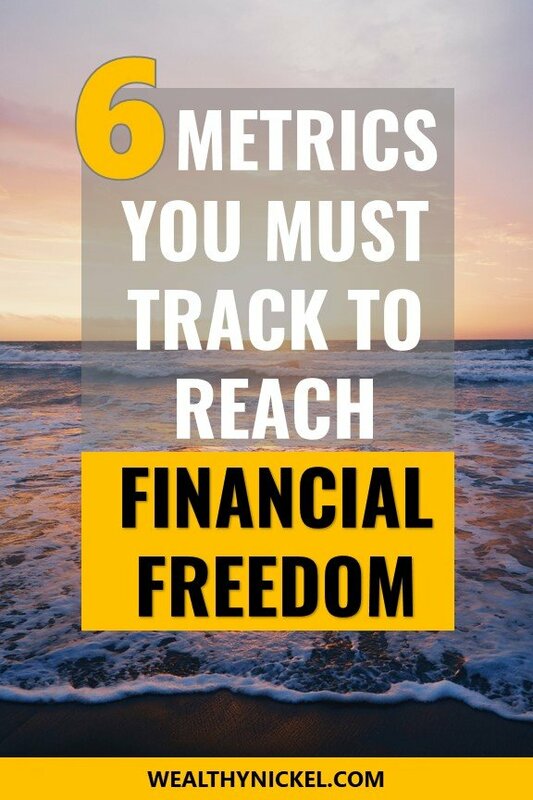 Everyone wants to achieve financial success, but how do you know which personal finance metrics to track? If you’re training for a marathon (which I am not, running is the worst), you can’t just decide one day to get up off the couch and run 26 miles. You need a step-by-step plan to get there, incremental goals to achieve, and metrics to track to see if you’re making progress. How many days are you running per week? What’s your time per mile? What pace should you aim for so you don’t tire too quickly? In the same way, if you want to achieve financial success – whatever that means for you – you need a plan to get there and metrics to track along the way to see how you’re doing and push you to get better. It’s funny, everyone knows getting healthy doesn’t happen overnight, but for some reason people think they can just ignore their personal finances and when it’s time to retire it will all just work out in the end. If you want to be more purposeful in achieving financial success, these are the financial metrics you need to pay attention to. We’ll start out with the most basic personal finance metric that you probably already know. How much money are you bringing in every month? If you have a “normal” job, you get a steady paycheck and this is pretty easy to calculate. If you’re an entrepreneur, contractor, or consultant this might be a little harder to figure out. Your income determines how much you have to spend and save, and obviously the higher your income, the faster you can achieve your goals. Financial health check: Is your income increasing over time? Ideally over time, your income will increase. If you make $5000 per month and get a 3% raise next year, you’ll be bringing in an extra $150 per month. I like to track my income over time and see that it’s increasing. For example, over the course of my career I have averaged a 6% per year increase in income. Sometimes it’s only a 2% raise (thanks Great Recession), and sometimes I get a promotion with a 8-10% pay bump. Personally, I am pretty happy in my career and do not have aspirations to manage hundreds of people and become the next CEO. While I don’t want to see my annual salary decline, I’m ok with a 3% increase a year to keep up with inflation while I focus on increasing my side hustle income. If you’re living paycheck and paycheck and don’t know why, I can guarantee you aren’t doing a very good job of tracking your expenses. One of the easiest ways to decrease your expenses is just to start tracking them and see where your money is going. It’s almost magical how just taking one second to be aware of what you’re spending your money on will prevent a lot of frivolous spending. Financial health check: Are your expenses increasing or decreasing over time? Again with the trend analysis. It’s easy to succumb to lifestyle inflation. As your income rises, you automatically find a way to spend it on a bigger house, nicer car, more expensive vacation, etc. It’s hard to fight against, which is why I track our expenses carefully. As recently as a couple weeks ago, my wife and I were discussing whether or not we should move into a bigger house. We found a house a couple streets over from us that needed a full rehab (our favorite), and we could have gotten it for a great price. But at the end of the day, it would have increased our payment by at least $500 per month and we don’t really NEED the space while our kids are young. Depending on where you are in your personal finance journey, it may make sense for you to try to decrease your expenses, keep them the same, or even increase your expenses. The goal is to be intentional about it. For the last several years, our expenses have been remarkably consistent while our income continues to increase. But I know that as our two kids get older, our expenses will probably go up – they’ll eat more, participate in after school activities, and of course eventually start driving, attending college, and getting married! It’s a simple ratio to show you how much of your income is left over after paying the bills. For example, if you bring in $5000 per month and spend an average of $3500 on housing, transportation, food, healthcare, taxes, etc. then your savings rate would be (5000 – 3500) / (5000) = 30%. Financial health check: Are you saving at least 15% of your income? The general financial advice according to Dave Ramsey and most other financial gurus is to save 15% of your income for retirement. I’m not going to say that’s bad advice, but it will almost certainly lock you into the standard American retirement plan of a 40 year career before you have enough in the bank to make it on your own. Discovering the concepts of the financial independence movement gave me permission to strive for something better. If I could live off my investments in 30 years, or 15 years, or even 10 years, why not do that? And unlike prior generations, employers and employees are not particularly loyal to one another. There may come a day where I get tired of corporate life and would like to pursue entrepreneurship or even be able to volunteer my time without having to worry about bringing in a steady paycheck. So for me, the higher the savings rate the better. It may be extreme for some, but we are aiming to maintain a 50% savings rate by increasing our side hustle and passive income (see below) while keeping our expenses relatively constant. Even if you can just get in the mindset of curbing lifestyle inflation and putting your annual raises toward saving and investing, you can easily increase your savings rate over time to 20-25% and give yourself more options with your financial future. If there was only one personal finance metric I could track, I would choose net worth above all others. It elegantly combines all the other metrics into one easy way to get a snapshot of your financial progress. In business lingo, your net worth represents your personal balance sheet, your assets minus your liabilities. And the result is your net worth. Financial health check: Is your net worth increasing over time? Don’t worry too much about your actual net worth number. Everyone starts out in a different place. Heck, most people end up coming out of college with a negative net worth due to student loans! What I like to track is net worth growth (or decline) over time. When you’re just starting out, your net worth will mainly be controlled by your savings rate – how much you’re contributing to your assets. As it grows, how much you’re contributing to savings becomes less and less of a factor, and how your investments perform becomes a much bigger swing. For example, if you have $10,000 in student loans and $20,000 in your 401(k), your net worth is $10,000. By just contributing an additional $5,000 to your 401(k) you’ve grown your net worth by 50%! But if you have a net worth of $1,000,000 that same contribution only increases your net worth by 0.5%. If your retirement accounts are invested in the stock market, a 0.5% swing up or down is not even a newsworthy event on any given day. One of the negatives of using net worth as a metric is that it is not 100% in your control. Your investments may go up or down, but ultimately over time if you are making wise investing decisions, and spending less than you earn, your net worth should continue to increase. There is a way to game the system, as it were, and have a high net worth that is practically meaningless when it comes to measuring your actual financial health. Let’s say you scrimped and saved everything you had to be a $1M house in your dream neighborhood a few years ago. You put down 5% and took out a $950,000 mortgage. The housing market has been good, so your home is now worth $1.3M – your net worth has increased by $300,000. You’re rich! Not so fast. While your personal home is technically an asset from a financial perspective, it’s not an asset that can really help you retire any sooner or produce any investment income for you. Unless you plan to sell the home and significantly downsize to a cheaper one, that is “trapped” equity that earns you nothing. That’s why I like to focus more on investable assets, such as money in retirement accounts, or rental real estate, that is actually earning a return. If Big House Bob has a net worth of $1M, but it’s all trapped in equity in his personal residence, his assets can’t generate any income for him in retirement at all. Compare him to Suzy Saver, who rented all her life but has $1M in stocks and bonds in her retirement accounts. Suzy is much better off because she can live off the returns of her assets. Passive income is just money coming in the door that you don’t have to work for. Usually, passive income is the result of your money working for you. If we take the typical advice from a financial adviser, Suzy Saver from our example above could be collecting 4% of her $1M (or $40,000) portfolio per year in retirement without ever drawing down her nest egg. For our own financial future, we have been socking away our money into retirement accounts (stocks), single family rental properties, and even more passive crowdfunded commercial real estate deals. Each of these produce cash flow month after month that we can eventually use to pay the bills. Financial health check: What percentage of your expenses are covered by passive income? The ultimate goal for our family is for this personal finance metric to be at 100%. As we save more money and put it to work making more money for us (in our case mainly in index funds and real estate), we get back monthly cash flow that can go toward paying our expenses. If you have $5000 a month in expenses and you have a couple rental properties that bring in $1000 per month, then your passive income ratio would be $1000 / $5000 = 20%. If you’ve diligently saved and invested over the years, one thing you really can’t control is the market (how I wish you could). One year, your portfolio may be up 8% and the next year down by 3%. While over the long term, the stock market should return 8-10% per year, it’s a bumpy ride. However, there is one personal finance metric related to your investments you CAN control, and that is your investment fees – whether that is a fee to a financial advisor, or expense ratios for a mutual fund, or even maintenance fees to participate in a certain type of plan such as an IRA or 401(k). That’s why I love index funds for investing in the stock market. While actively-managed mutual funds can have fees of 1-2% or even more, index funds have fees of 0.1% or even less. And it’s been proven that it is very hard for an actively managed fund to beat the index. Even the great Warren Buffet believes that index funds are vastly superior for the average investor. Financial health check: Are your investment fees under 1% (and hopefully much lower)? I always like to check up on my 401(k) and other investment accounts at least yearly to see what options are available for me to invest in. I am lucky that my company offers several mutual funds with low fees in my 401(k). It’s also a good chance to rebalance my portfolio to make sure I’m not taking on too much risk in one particular asset class. It’s great to track your personal finance metrics and ratios and compare them to other people to see how you’re doing, but you’ve got to take action if you want to build wealth. If you make major financial decisions with these metrics in mind, it creates a virtuous cycle that will continue build wealth for you and your family. 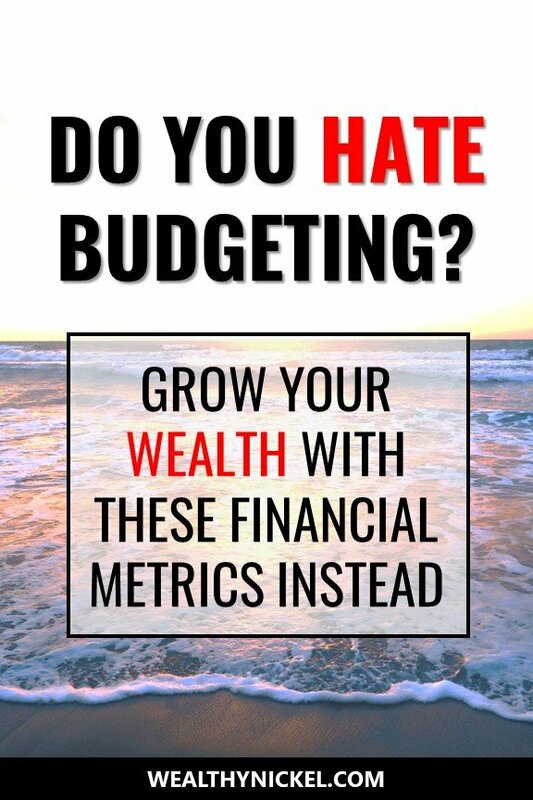 For example, if you can increase your income (metric #1) by starting a side hustle, and you put all that money toward you investments instead of spending it on a new car, you’ll increase your savings rate (metric #3). Adding to your savings and investing wisely by keeping your fees low (metric #6) will ultimately build your net worth (metric #4) and your passive income (metric #5), which gives you even more money to invest in the future! 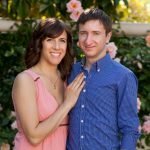 For you TLDR; low attention span readers (I might be one of those too), here are the highlights. 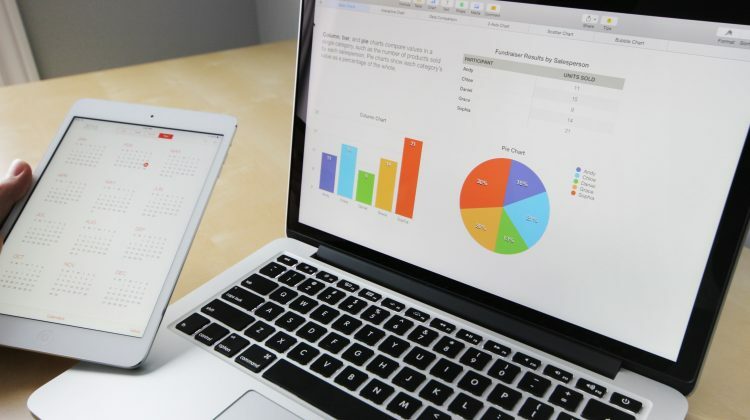 If you regularly track these metrics and continue to improve them, I can guarantee you will reach your financial goals and become wealthy sooner than you thought possible. 😃Personal Finance Metric #1 – Income. Is your income increasing over time? 😃Personal Finance Metric #2 – Expenses. Are your expenses decreasing (or at least staying the same) over time? 😃Personal Finance Metric #3 – Savings Rate. Are you saving at least 15% of your income? 😃Personal Finance Metric #4 – Net Worth. Is your net worth increasing over time? 😃Personal Finance Metric #5 – Passive Income. What percentage of your expenses are covered by passive income? 😃Personal Finance Metric #6 – Investment Fees. Are you keeping your investment fees as low as possible to help your portfolio grow faster? 😃If you want to get a free 401(k) health check and see how you’re doing, check out Blooom. Their free analysis guided me to make a few tweaks that will save me thousands in retirement! What personal finance metrics do you track? Let me know in the comments! Running is in fact not the worst. Haha – agree to disagree! I’m not sure what you’re calling “fake net worth” here. You never actually say. You imply that counting home equity is “fake net worth”, but you never come out and say it. This is something that bugs me. Net worth is net worth. It’s what you own minus what you owe. That includes home equity. Net worth includes home equity, even if home equity isn’t very liquid. To me, “fake net worth” is when you don’t include home equity. I know a lot of people — especially in FIRE circles — argue that you shouldn’t count your home equity in retirement planning, and that’s fine. I get the argument. But I don’t get the argument that net worth shouldn’t include home equity. By definition, net worth includes all of your assets. It’s “fake net worth” if you do not include home equity. And just because home equity is tough to tap, that doesn’t mean it’s impossible to tap. Take my home, for instance. I paid $450,000 for it (cash) and have since put another $150,000 into it. It’s worth somewhere between $450,000 and $600,000. That’s part of my net worth. Yes, it’s a part of my net worth that’s illiquid, and I get that. But if I absolutely needed to, I could take out a home equity loan. I could take out a reverse mortgage. I could sell the place and buy someplace cheaper. If I were willing to move to, say, North Dakota, I could buy someplace MUCH cheaper. If people want to talk about “net worth minus home equity”, great. Do it. But don’t try to pretend that home equity isn’t part of net worth. Because it is. That’s a fair point. Perhaps I should not have used the term “fake net worth” to refer to the concept I was getting at. I agree 100% that illiquid assets still count toward net worth. My point was that when you are trying to reach financial independence, unless you are actually willing to scale down your $600,000 house to a $200,000, then counting that equity toward your “FIRE” number is disingenuous. Yes it is still part of your net worth from a business/financial definition sense, but it is not usable net worth. This is more than just home equity – it could be expensive cars, or a yacht, or anything you are counting in your net worth that you are unwilling or unable to liquidate to fund your expenses. This also includes the fact that sometimes people are a little optimistic about what their “stuff” is worth. Your house may be worth $600,000, but after fixing whatever needs fixing to sell it, paying commissions and closing costs, you are only getting out maybe 90% of the value in cash. I disagree. You primary residence’s net worth is overstated due to it’s illiquidity and the fact that you are living there.. Say you own your home free & clear. It’s worth $500,000. You want to leverage against the home for whatever reason.) No one will give you a HELOC equal to the entire value of the home. Say you get a $400,000 HELOC that you draw down to $0. Now you own a $500K home but have a $400k loan obligation (plus interest). You net worth has gone down by $400K. You say you can sell the house if need be. True but you have to live somewhere. Sell the $500K house and buy a $100K house. You were only able to extract $400K of equity from your asset (not including closing costs on both the purchase of the new house & sale of the old house). My point is that you can never realize whatever your house (primary residence) value is so therefore including it in your net worth total is a overstating your net worth. Maybe that is the net worth you can leave for your heirs but it is not a net worth you can realize in your lifetime. It’s been awhile since I calculated my savings rate, so I probably should do that again sometime soon. Of the top of my head, however, I know that both my wife and I contribute 8% to each of our 401k’s (not including the match) and about 12% to each of our Roth IRAs (which maxes it out for the year). Come to think of it, we also max out our (technically my) HSA at about 7%. So 8% + 12% + 7% = 27%. That’s better than I thought it would be. That’s a great savings rate! I was surprised when I calculated ours too. We have several things that get taken directly out the paycheck that I don’t really think about such as 401(k) and HSA, but they add up.